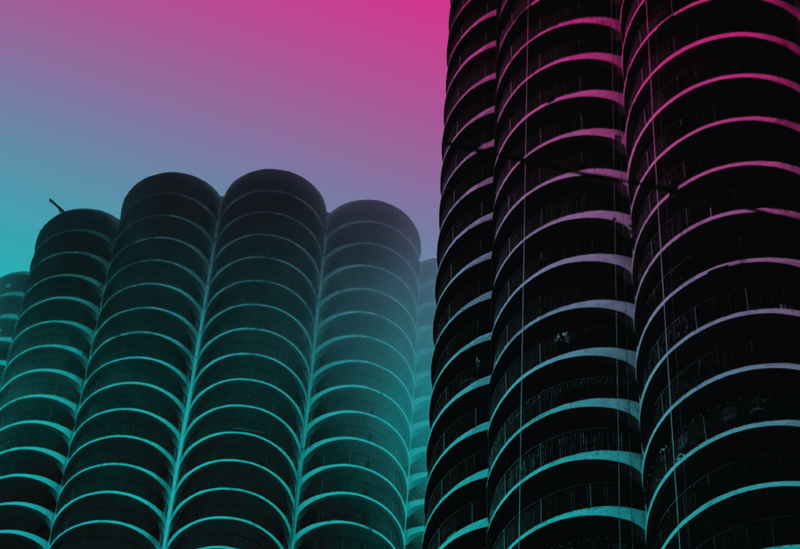 Essential skills such as marketing, medical billing and coding, financial planning, and more on Saturday, Aug. 10 in Chicago. 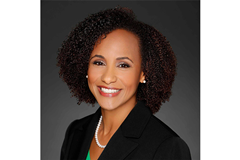 Promoting the advanced study and practice of implant, esthetic, and reconstructive dentistry. 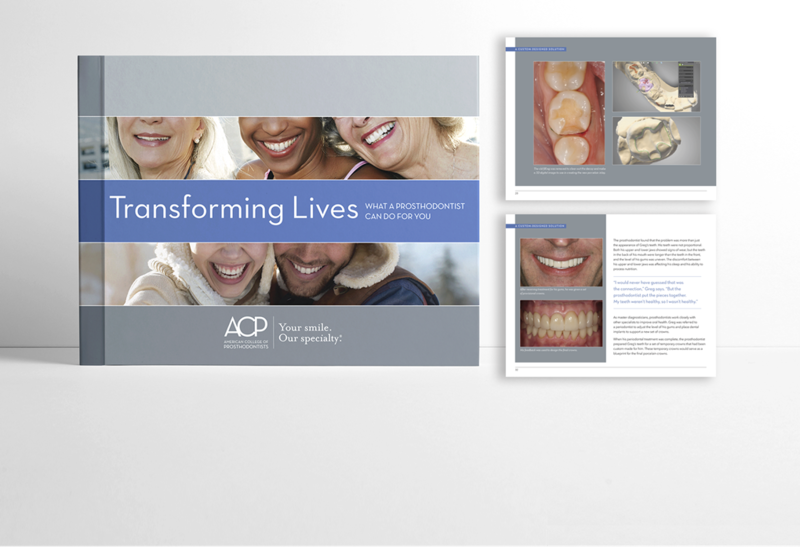 A new hardcover and e-book with 24 compelling stories that describe prosthodontic treatments in patient-friendly language. Free shipping on orders over $100! 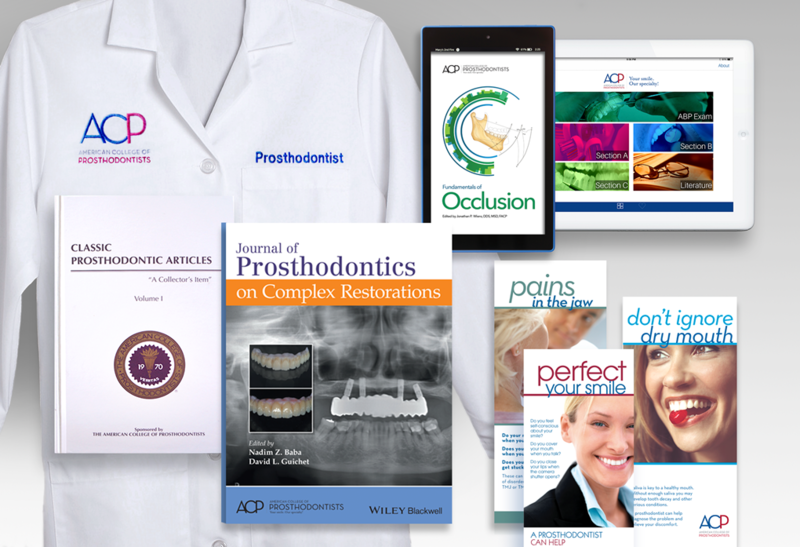 Check out books, brochures, lab coats, and other prosthodontic essentials. 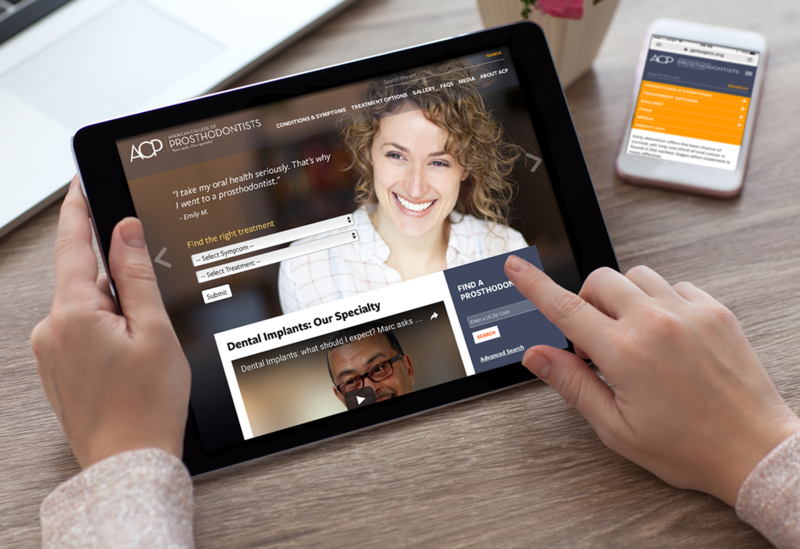 From computers to tablets and mobile phones, the ACP consumer website connects patients with prosthodontists. 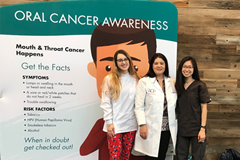 is the organization of dentists with advanced specialty training who create optimal oral health, both in function and appearance including dental implants, dentures, veneers, crowns, and teeth whitening. Prosthodontics is at the heart of dental practice, education, and scientific research. If you are interested in complex cases and life-changing outcomes, then prosthodontics is a good choice for you. The ACP is the premier association for prosthodontists with almost 4,000 members and affiliates worldwide. To represent the specialty with a unified voice, we need you. 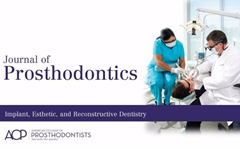 The authoritative resource for prosthodontics. 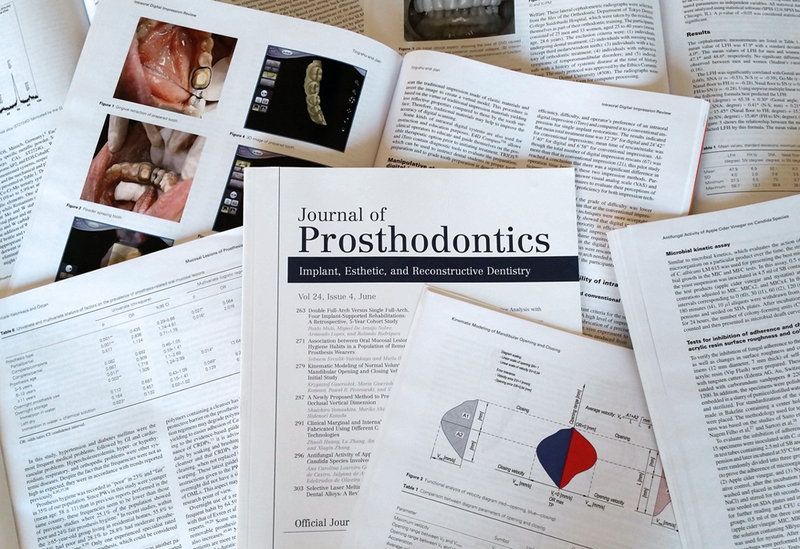 Discussion forums for the prosthodontic community.